When practically managed, an area-wide planning (AWP) approach to brownfield redevelopment can help revitalize communities where multiple contaminated properties threaten public health, undermine quality of life, and limit economic, environmental, and social well-being. leverage public and private sector investments to foster community renewal. Taking an area-wide planning approach—rather than focusing on individual parcels—allows communities to envision the ripple effect that can be achieved across a neighborhood and its surroundings through cleanup and reuse of multiple brownfield sites. The “brick and mortar” needs of an area, such as housing, grocery stores, and recreational open spaces, are typically evident and quickly find an obvious home in a redevelopment plan. More complex opportunities that local constituents often identify in AWP processes are “connective tissue” concerns—namely those programs and linkages that take time and partnerships to piece together and deliver, but that help ensure oft-marginalized people more fully participate in the wave of prosperity that can follow new investment. Groundwork Trusts typically tackle these issues by developing and delivering environmental and human development-oriented programming, such as job training, youth development, or river cleanup, in the near term. At the same time, they support local government, developers, and stakeholders to ensure “brownfield for community benefit” redevelopment projects (i.e., parks, gardens, trails) advance from abstract concept to community-informed design development to financing and shovel-readiness. Tackling intertwined challenges such as unemployment, transportation access, youth educational attainment, and walking and biking conditions in “weak market” communities, where new investment has been lacking for decades, requires planning through collaboration across multiple sectors. 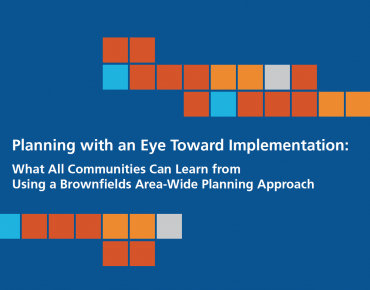 Planning with an Eye Toward Implementation: What All Communities Can Learn from Using a Brownfields Area-Wide Planning Approach. Are you interested in GWUSA’s Direct Technical Assistance? Sign up here to receive periodic updates and helpful information! Groundwork USA represents a national network of nonprofits with decades of experience in long-term community revitalization using brownfield sites as catalysts for achieving equitable development and environmental justice outcomes. 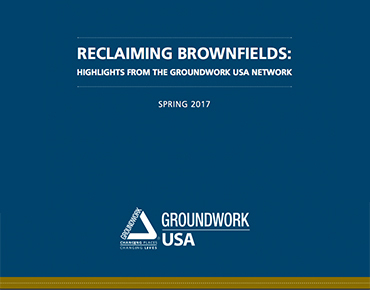 Groundwork USA has been funded by EPA to offer “boots on the ground” knowledge to assist brownfield-affected communities with achieving meaningful community benefits from the reuse of brownfields, especially in low-income neighborhoods and communities of color. Nonprofit organizations, local government bodies, and tribes whose communities are impacted by brownfields are all eligible to apply. Completing the online form below will serve as your pre-application for technical assistance. Please fill out and submit the online form below. A member of Groundwork USA’s technical assistance team will contact you within a week of receiving your online, pre-application form to set up an informational phone call. If it is decided that your community is a good fit for the available technical assistance, Groundwork USA will request a formal statement of interest, which will be used to create a scope of work. Please tell us about your community context. Briefly cover overall demographics and trends, particularly with regard to lower-income communities and communities of color, how brownfields are impacting these populations, and the potential for community revitalization. To receive the very latest information about Groundwork USA's Brownfields Technical Assistance program and our Equitable Development / Environmental Justice Community of Practice, please sign up for our e-newsletter below. Our e-newsletters are filled with resources, funding opportunities, and food for thought gleaned from across our diverse and ever-broadening field. We only email periodically, and will never make your information public.